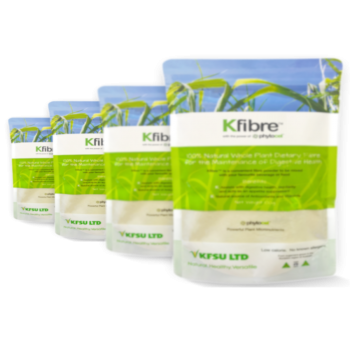 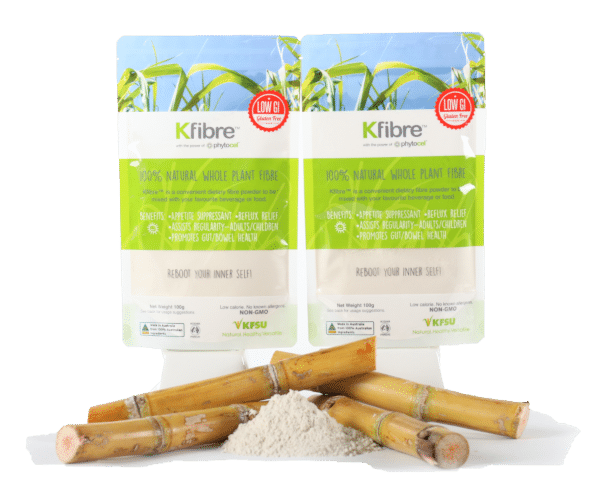 Kfibre is a natural, whole of plant functional & prebiotic FDA accredited dietary fibre for gut health management and microbiome support containing active phytonutrients & antioxidants. 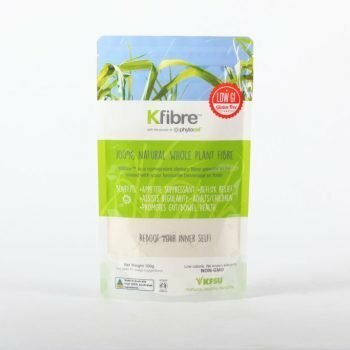 It’s a great way to give your body the gut health support it needs, especially when you don’t have time to eat a perfect diet. 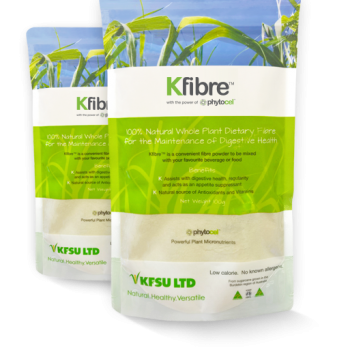 If you live with bloating, indigestion & heartburn, constipation, IBS, or food intolerances (Kfibre has no known allergens) that keep you from an optimal healthy digestion or wish to lose a little weight then Kfibre is for you.